Students on day one of the elements. Come and learn how good being in balance can feel. Larry Bernstein is a certified orthobionomist, polarity and therapeutic massage therapist, with 20 years experience in the field. He is a state authorized teacher of massage and polarity. 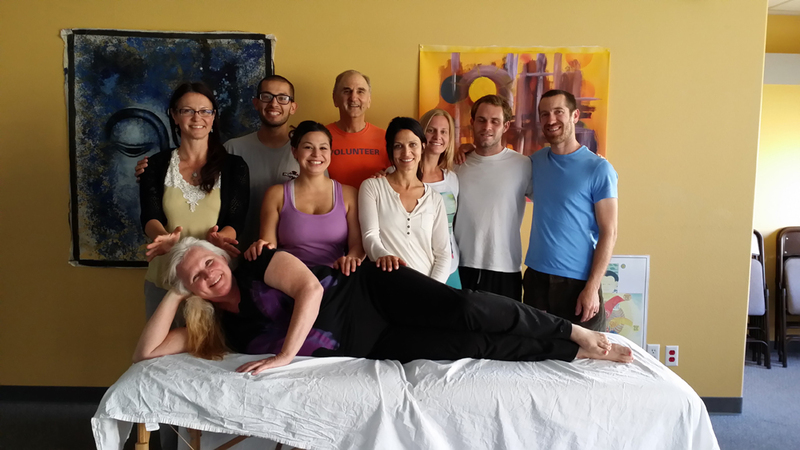 He presently has an active private practice in Body-Mind Integration in Soquel, California. 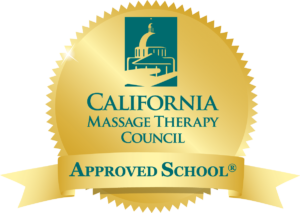 Chris Hauze has been studying and practicing massage since 1980. In the course of his work, he has developed a deep faith in the healing power of the human body. Chris has a private massage practice in the Santa Cruz area. Learn to focus life energy and channel it creatively for healing. Give a nurturing massage and be able to alleviate pain and provide other symptomatic relief. Acquire insight into the dynamics of the healing process and an understanding of the underlying causes of disease. Understand the anatomy of the human body with its structural and functional interrelationships. Respond effectively to the emotional expression and physical release of clients. Develop the self-confidence and intuitive freedom to trust your innate healing abilities. Increase sensitivity to and awareness of your own needs and values. Develop a sense of professionalism. Build a strong foundation for further studies in the holistic health field.